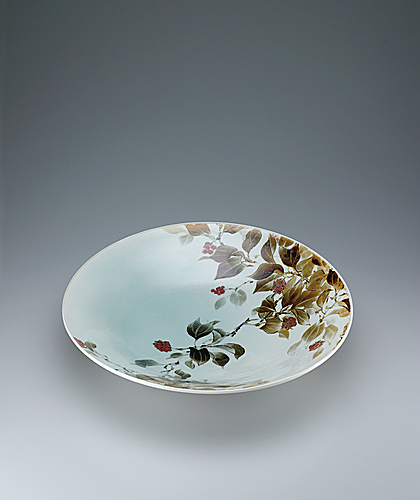 Inspired by the flowers, berries, and fruits, and the changing seasons as motifs, I decorate ceramics with overglaze painting. When creating my works I aim at making a soft impression. 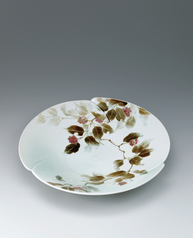 Large dish with kadsura japonica design. 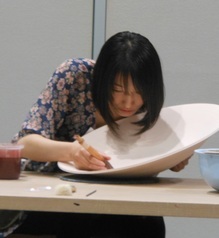 Large dish with binankazura design.